Join Fright Nights Cambridgeshire for an evening at Oliver Cromwell’s former residence which is actively haunted to this day. 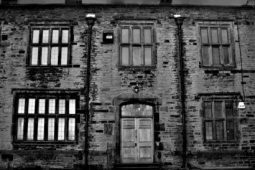 Many sightings have been documented over the years including the ghostly sounds of childrens’ laughter, footsteps which echo along corridors and down the staircases, and jangling keys are frequently heard. Or will you experience your shoe laces being constantly untied? Is this the ghostly children or is it the Lord Protector himself who is famously renowned for being a prankster. Psychic experiments including seances, glass divination and more.. The house itself actually dates back to to 13th century and was originally built as an open hall house for a priest. Oliver Cromwell and his family lived in Ely for ten years from 1636 to 1647. He inherited the house along with his title ‘Farmer of the Tithes’ (or local tax collector) His inheritance made him a wealthy man. He lived here with his wife Elizabeth Bourchier and their eight children. There have been many changes to the structure of the house over the years. It has also been used as a public house and a rectory. There are documented reports of a dark haired lady in a long dark dress with keys at her waist, appearing in ‘the haunted bedroom’ and disappearing again. In fact the latest vicar did not ever move in to the parsonage as the vicar’s wife refused to live there due to there being an oppressive atmosphere and feeling incredibly uncomfortable! With such a long history of hauntings and links with Oliver Cromwell – are you brave enough to ghost hunt at his house? 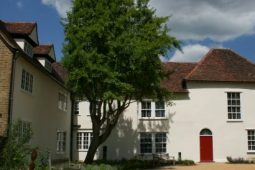 Fright Nights Cambridgeshire have hired Oliver Cromwell’s House for the night for a very exclusive ghost hunt. The night begins with a special tour of the house and grounds detailing real-life experiences and historical information researched by experts. 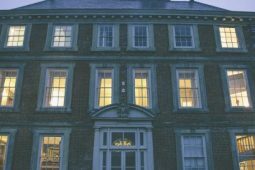 This will set the scene before you are joined by experienced paranormal investigators and mediums to try and experience paranormal activity in one of the most haunted buildings in Cambridgeshire. 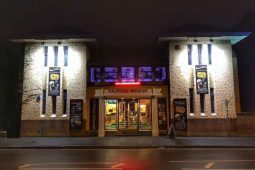 Full use of Ghost Hunting and Psychic equipment will be provided as well as hot refreshments through the night.